3D printing is set to make map reading easier for those who are visually impaired. This new technology, which is a process of making three-dimensional objects from a digital file, has already been making life more manageable for those who cannot see. Visually-impaired children can learn to read with 3D printed Braille books with raised imagery. 3D printed models can stand in for photographic portraits and architectural models. Even astronomers are working to develop technology to convert images from the Hubble Space telescope into 3D for the visually impaired. Now the island nation of Japan is leading the way into making navigation easier with 3D tactile maps. Japanese mapmaking authorities have announced that they are in the middle of developing technology that will allow users to print their own inexpensive tactile maps of different parts of the country. That technology involves people downloading data software from the Internet and then producing maps with the help of 3D printers. 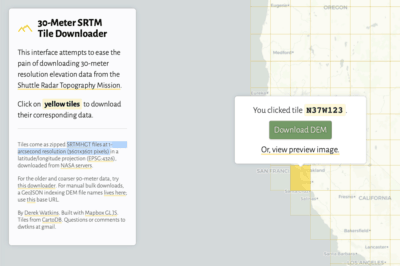 The project comes from Japan’s Geospatial Information Authority (GSI). The GSI is the only national organization that conducts surveys and mapping activities. 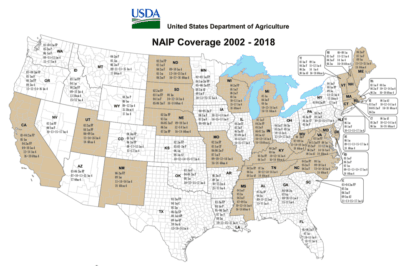 These pursuits help to inform land management and public policy. In addition to national ventures, the GSI has played a role in many international surveys and mapping projects including Antarctic research expeditions. The GSI hopes that these 3D maps will lead to better responses to natural disasters. In the event of an earthquake or tsunami, the visually impaired would be able to find their way to safety if an evacuation is in order. 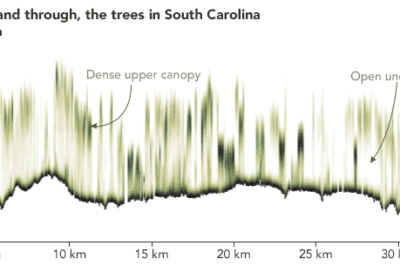 According to the GSI, the maps of urban areas will be on scale of 1:2,500 (1 centimeter equals 25 meters) and those or rural areas will be on a scale of 1:25,000 (1 centimeter equals 250 meters). Like regular maps, the 3D maps for the visually impaired will differentiate between standard features like railway lines, highways, and walkways but do so by touch. These new tactile maps will also include topographic structures like uneven surfaces and hills. This could make a remarkable difference in the way the visually impaired get around. Moreover, the maps would be inexpensive to make, only costing about $1.40 for every page. On the other hand, users will need to have access to 3D printers, which cost about $500 to $600 each. In the end, the ability of the visually impaired to navigate will be greatly improved thanks to the expansion of 3D printing and related technology. 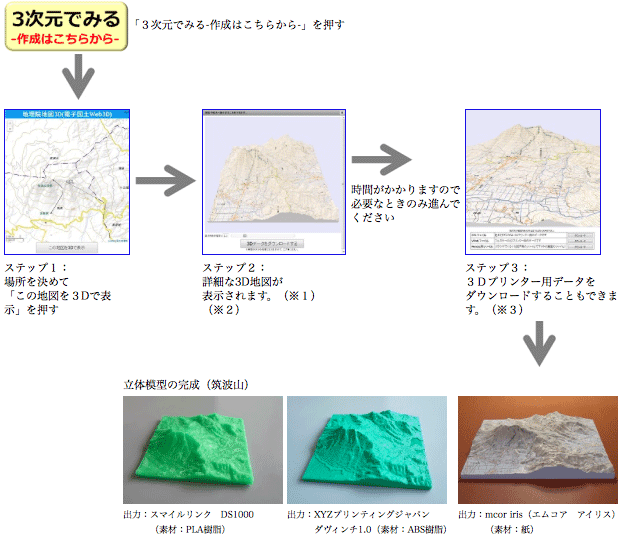 Instructions from the Geospatial Information Authority of Japan on how to download its 3D terrain maps to send to a 3D printer.